The Lady Leading the Way to a Lighter Way of Life. My vision for the Anti-Aging Center of Boca is to truly provide a global center of wellness. Those of us who look to perfect the outside are usually also interested in learning everything that it takes to express beauty from the inside-out, as well. Nina Presman, Ageless BodySculpting Plus and the Anti-Aging Center of Boca settled in downtown East Boca Raton earlier this year and have already significantly positively transformed lives. 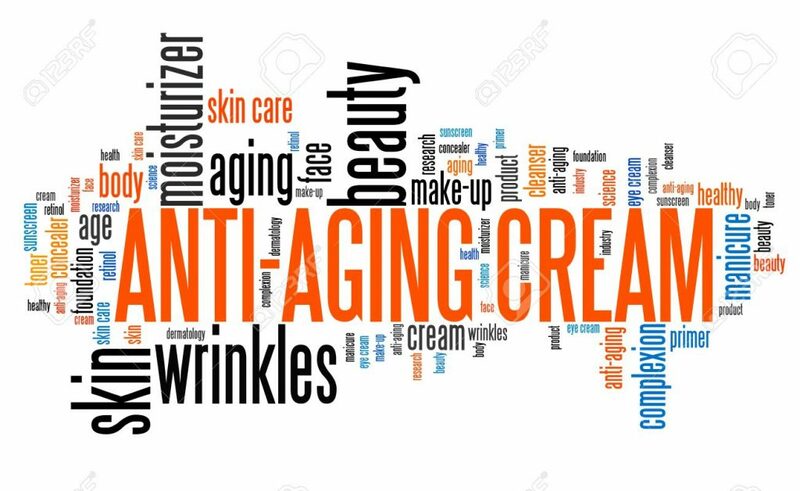 Anti-aging cream – wrinkle skin care. Word cloud concept. The “Center” serves as a beacon of light for the community of Boca Raton. Nina has quickly gained recognition for helping lead the way to a lighter way of life, holistically – mind, body, and spirit. While it’s true that Nina is providing a healthy, holistic way to remove unwanted fat, the services offered at the Anti-Aging Center of Boca also help provide a lighter way of life mentally and spiritually, too. Recently, we caught up with Nina for an exclusive interview and were pleasantly surprised to find out more about her journey and what’s coming next. What are you most looking forward to as you grow and expand? Nina: I’m looking forward to what comes tomorrow. Each day brings new opportunities and experiences. What advice would you give to new business entrepreneurs in the health and wellness space? Nina: Trust in yourself, connect with God. Love yourself unconditionally, so that you can share abundance with others. Where are you from originally? How did you get interested in Acoustic Lipolizer technology? Nina: I was born and raised in Soviet Union and came to the United States of America in 1979. Going back to when I was just seventeen years old, I had Anorexia nervosa and was scared of food, then I found working out and began body building. Body building gave me a reason to eat, to fuel my body. I started learning more and more about proper nutrition; however, at age thirty-five, I gained weight; especially, in my stomach, so I started trying different diets and nothing worked long-term. Simultaneously, my genetics started becoming more and more noticeable. I struggled with my weight until age 50, it was at this point that I found VazerShape and immediately decided to move to South Florida to attend Boca Beauty Academy to obtain my Esthetician’s License. I graduated Boca Beauty Academy in Fall 2013 and I put my very first down payment on the UltraSlim Plus II which was the very first machine of its kind, developed in Italy, and I opened Ageless BodySculpting Plus. I quickly began receiving testimonials that I was helping clients get the best results in the country by holistically liquefying fat cells; however, I still wasn’t satisfied personally, so I continued to seek the very best technology in the world and in January 2016, I gained access to the Acoustic Lipolizer which I helped co-develop and this is how I am where I am today. What has been one of your most rewarding experiences thus far? Nina: I would say that achieving the successful opening of my business has been my most rewarding experience thus far. Personal development through the process and truly being able to help others has been the other. Each and every day is more rewarding than the previous. Stretching myself beyond what I thought I was capable of, realizing the journey of my own highest potential. Now that you have expanded, what is your vision for the Anti-Aging Center of Boca? Nina: My vision for the Anti-Aging Center of Boca is to truly provide a global center of wellness. Those of us who look to perfect the outside are usually also interested in learning everything that it takes to express beauty from the inside-out, as well. Can you tell us a little more about what you feel has contributed to your success? Nina: Yes. I have a constant desire to improve myself. I have learned to trust my own instincts. I genuinely love people and I have an intense desire to share value with the world. What kind of services can we expect to see coming into the Anti-Aging Center of Boca? Nina: We are currently seeking qualified practitioners in the areas of Hormone Replacement Therapy, Anti-Aging/Botox and Filler Specialists, Estheticians/Lasers and Peels, Nutrition and Weight Loss, Eyelash Extension Specialists, Chiropractor, Energy Healers, and additional Meditation and Yoga Instructors. Here at the Anti-Aging Center of Boca we also have space for community education and workshops. Here’s a glimpse into our what we offer and what we have coming! We are honored to welcome David Rosas as an Inner Dialogue Holistic Counselor, Coach Rochelle Schwartz with A Soul of a Woman Workshops, Madison Mizrahi for yoga, meditation and Reiki, Dr. George Love our resident Qigong Master, and we’ve already booked Author, Gene Skaggs from Tennessee who will also be joining us in September. The author will be joining us for a book signing, workshop and private sessions. I know you have to go. (Someone is waiting) Is there one final thought that you’d like to share with our readers? Nina: I have learned how to live without worry. I have truly learned how to live in the present moment and enjoy the NOW. Also, I have the only machine, of its kind, in America. With Ageless BodySculpting Plus, if you don’t lose, you don’t pay. Measurements taken before and after.